Making software more widely available increases user numbers, raises your project's profile and provides valuable feedback. The Brain Research Imaging Centre (BRIC) had developed various tools to tackle problems faced in common neurological diseases. They wanted to make their software available to researchers outside their organisation. The Software Sustainability Institute worked with two software tools that were developed by BRIC: DICOM Confidential and BRIC1936. Both software tools are now available as standalone packages on SourceForge, and BRIC have two software programs on their website, freely available for anyone in the world to use, as well their own staff and students. The BRIC developers are now receiving useful feedback, because other people can use the software – plus they are rewarded by seeing their work more widely recognised. This has also helped raise the profile of the BRIC and provided an easier route to publication of work using the BRIC tools, because they are already known to reviewers. 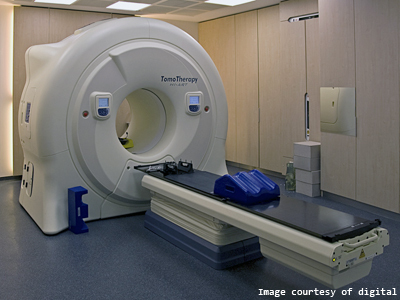 Image analysis software is central to research with medical imaging data, such as brain scans. It is used to provide data for statistical comparisons, to investigate tissues and for display purposes. The Brain Research Imaging Centre has developed image analysis tools to tackle the research problems faced in common neurological diseases like stroke, multiple sclerosis, dementia, psychiatric disorders and ageing. BRIC had tried for several years to find a way to place their software in the public domain as downloadable tools for others to use, but without much success. The process required expertise in software and licensing that they did not have in their team, so they asked the Software Sustainability Institute to provide advice and development time. The Software Sustainability Institute reviewed the code and usability of the packages, and assessed how easy it would be to extend and modify them. Working with the BRIC, we considered the best ways to support the software, and ensure its long-term availability. We also provided a software developer to help BRIC implement the changes we had recommended.